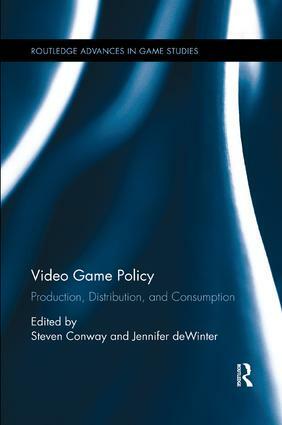 This book analyzes the effect of policy on the digital game complex: government, industry, corporations, distributors, players, and the like. Contributors argue that digital games are not created nor consumed outside of the complex power relationships that dictate the full production and distribution cycles, and that we need to consider those relationships in order to effectively "read" and analyze digital games. Through examining a selection of policies, e.g. the Australian government’s refusal (until recently) to allow an R18 rating for digital games, Blizzard’s policy in regards to intellectual property, Electronic Arts’ corporate policy for downloadable content (DLC), they show how policy, that is to say the rules governing the production, distribution and consumption of digital games, has a tangible effect upon our understanding of the digital game medium. Steven Conway is a convenor and lecturer in the area of Games & Interactivity at Swinburne University of Technology, Australia. Jennifer deWinter is Associate Professor of Rhetoric and faculty in the Interactive Media and Game Design program at Worcester Polytechnic Institute, USA.